We make significant progress with our new #game, project name Naughty Who? on #Unity. 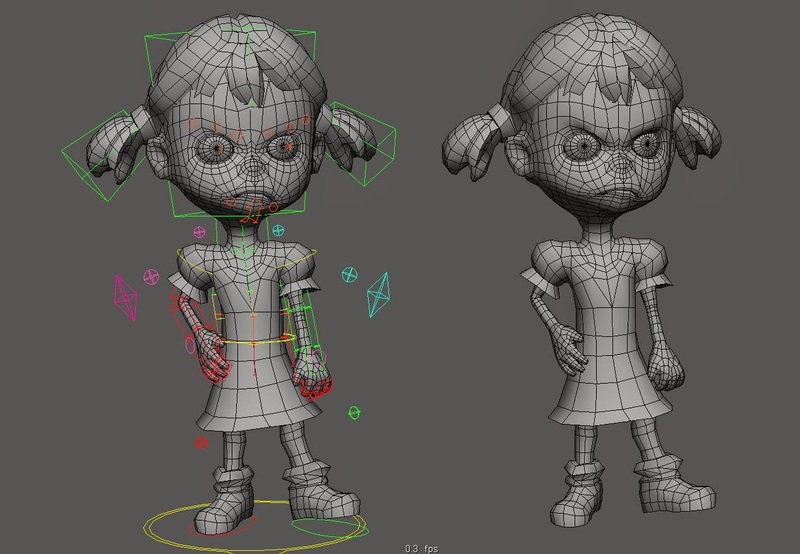 Today is a small article on character rig for animation. I have not too much experience with rig and animation, on of my latest attempts was in 1999 as far as I remember. 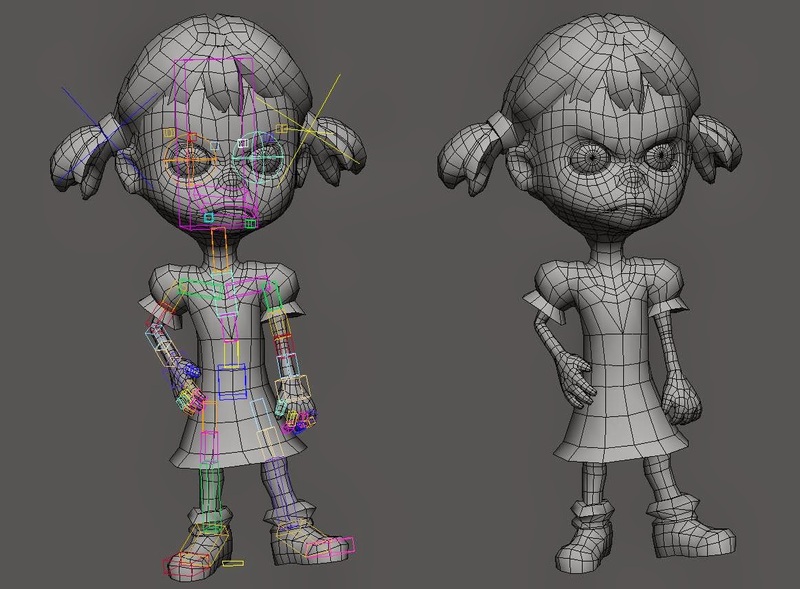 So about the rig exactly as animator Sasha sad, just translated: The rig is without redundant complexity. FK (forward kinematic) spine. IK with soft stretch (stretch arms and legs) on the hands have the ability to blend forward and inverse kinematics. Shadow rig for export to the engine is on the picture. Face rig is very simple.